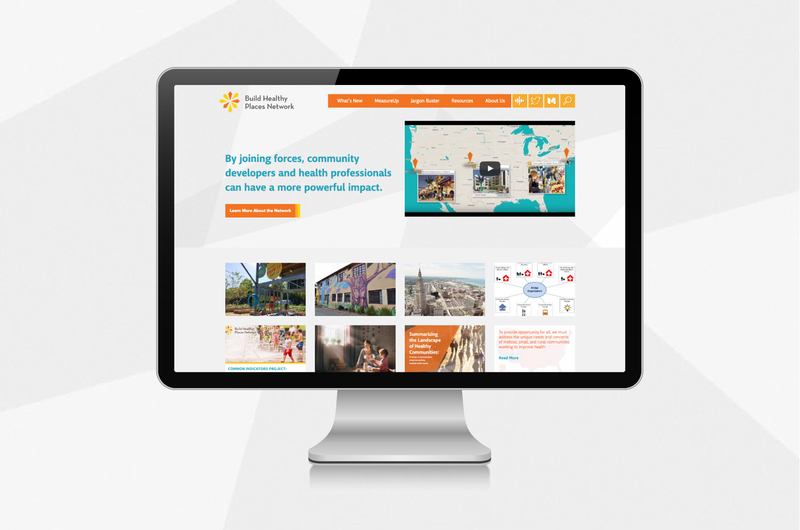 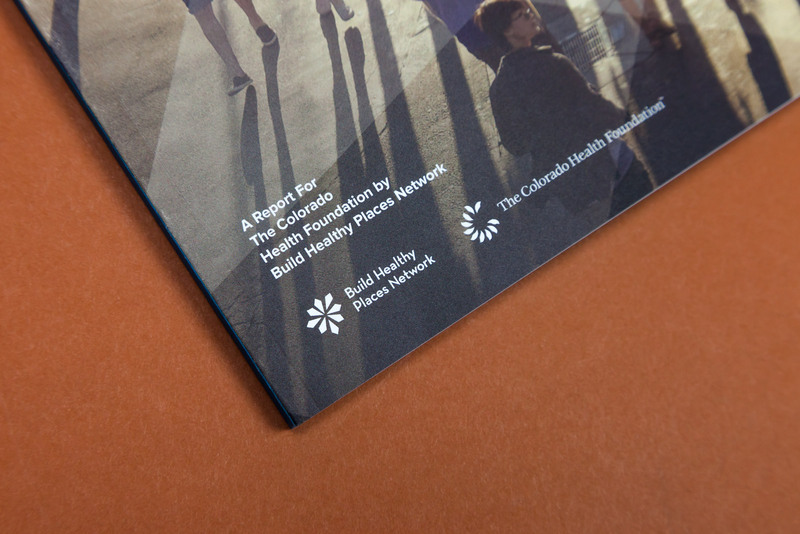 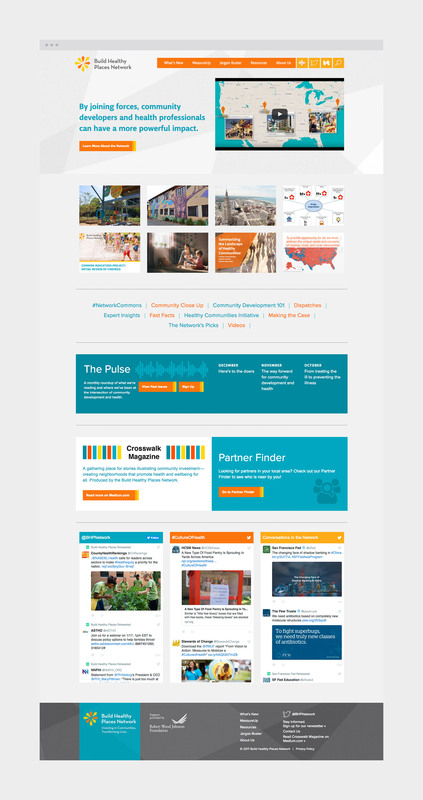 Build Healthy Places Network (BHPN) is working to improve low-income communities, and the lives of people living in them, by catalyzing and supporting collaboration across the health and community development sectors. 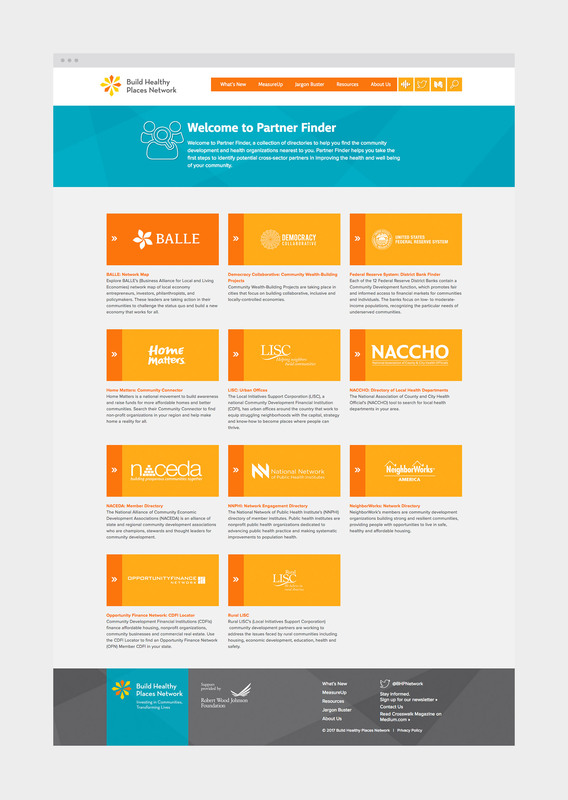 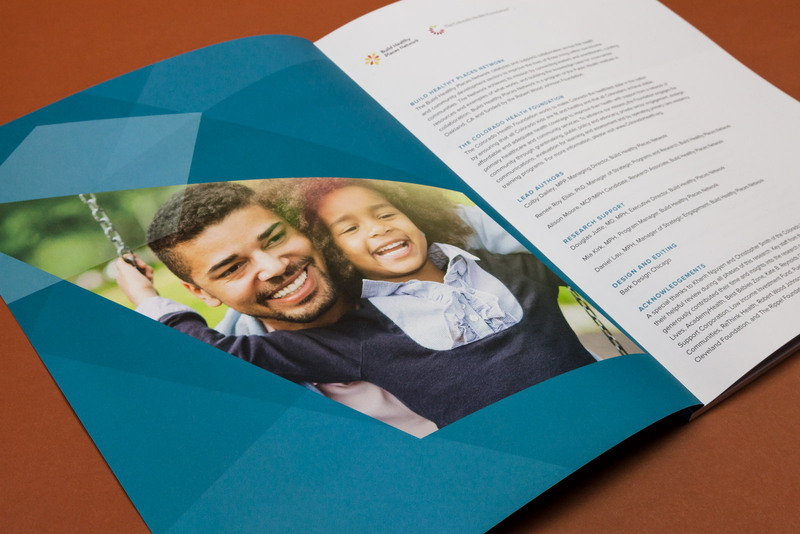 For the past few years we’ve helped BHPN bolster their brand and achieve their mission through ongoing website updates and additions, as well as through the development of reports. 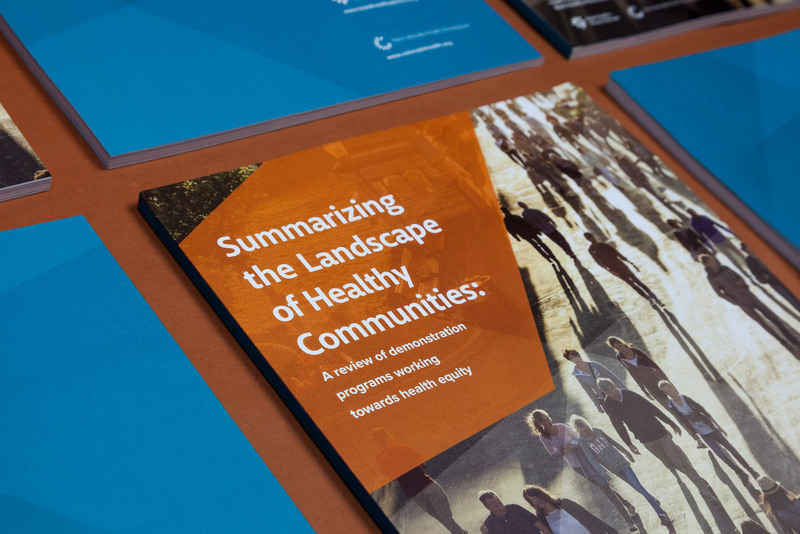 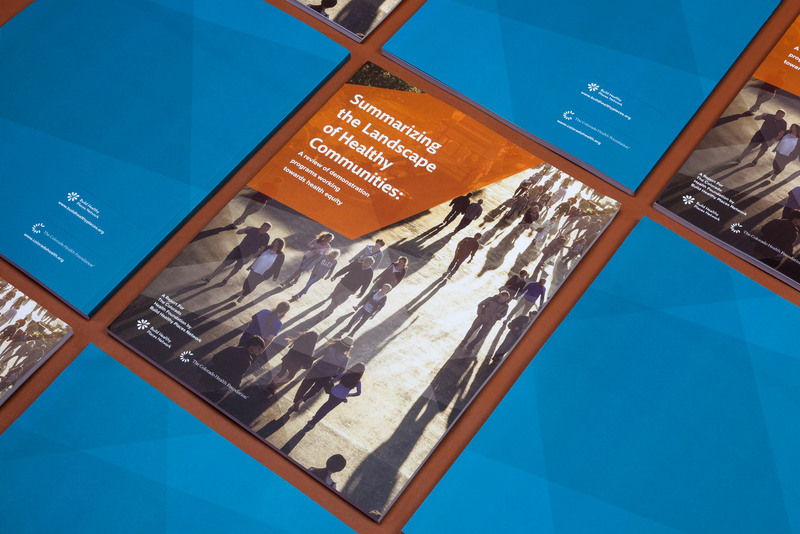 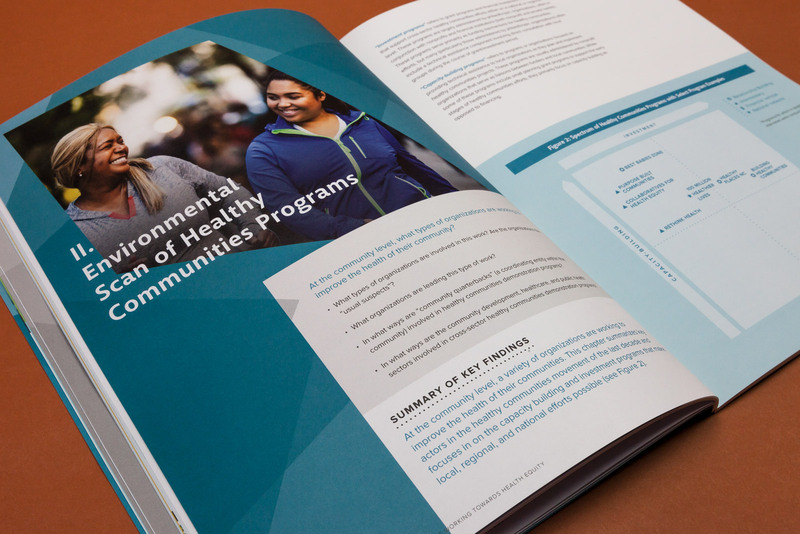 We worked with BHPN to create a report—Summarizing the Landscape of Healthy Communities: A review of demonstration programs working towards health equity—addressing how efforts in the healthy communities movement have transformed the way health is defined and addressed. 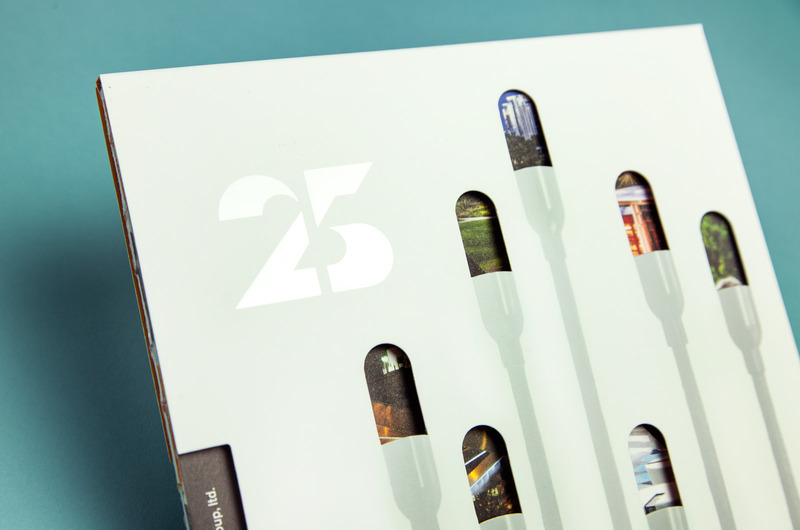 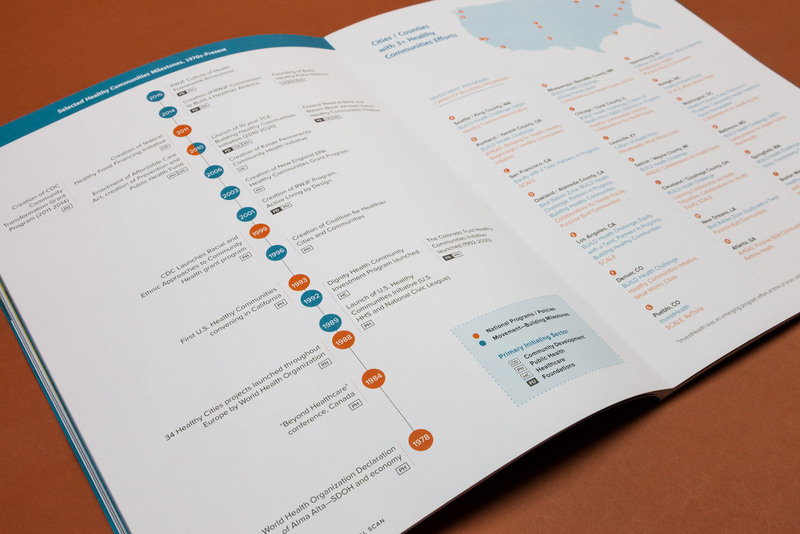 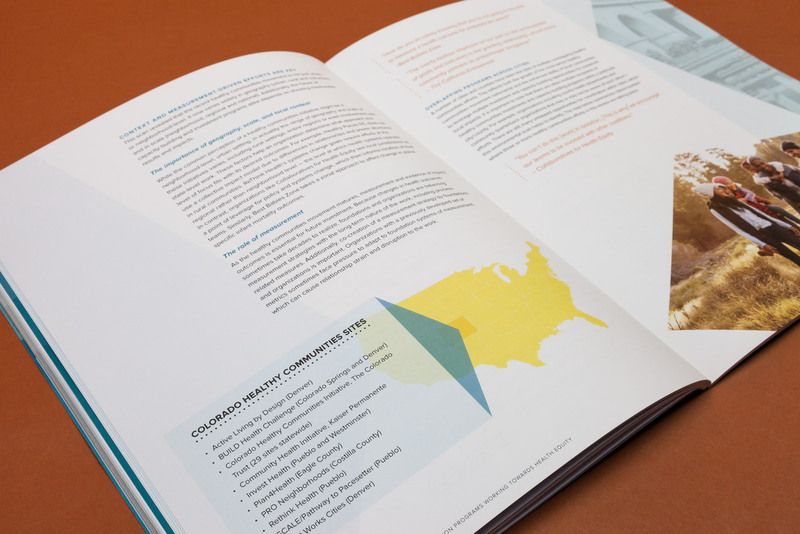 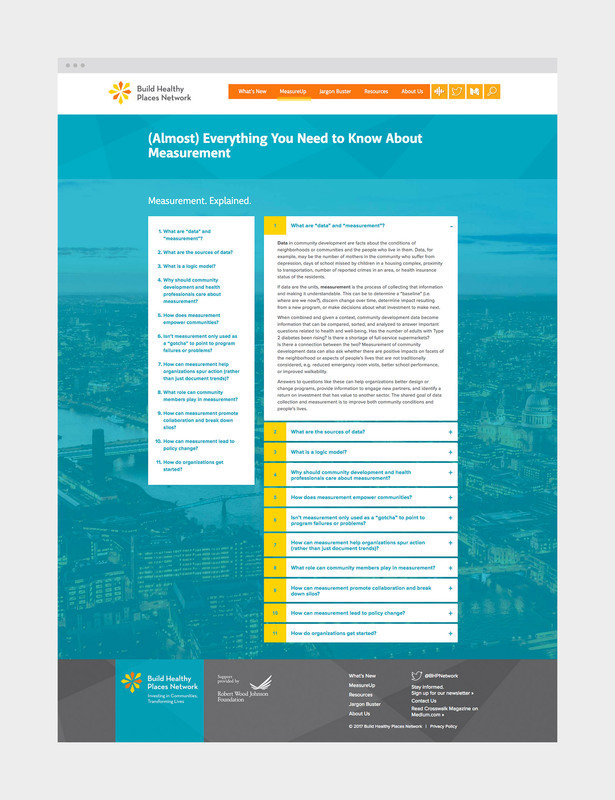 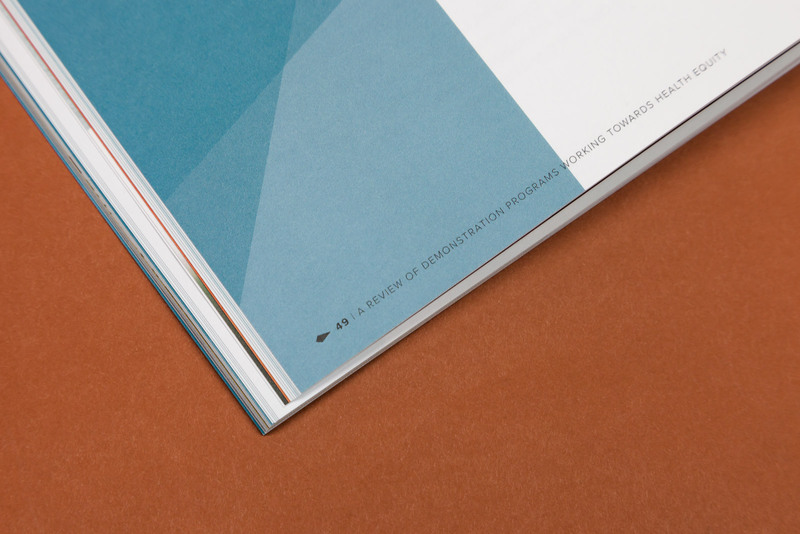 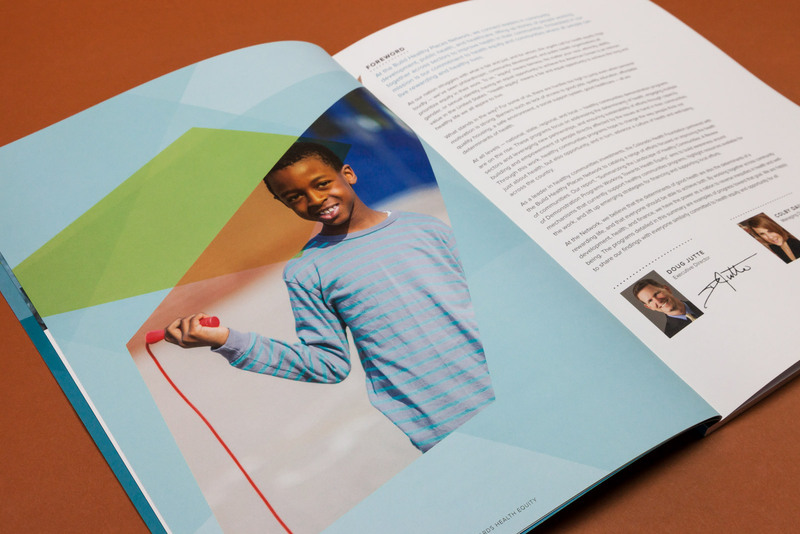 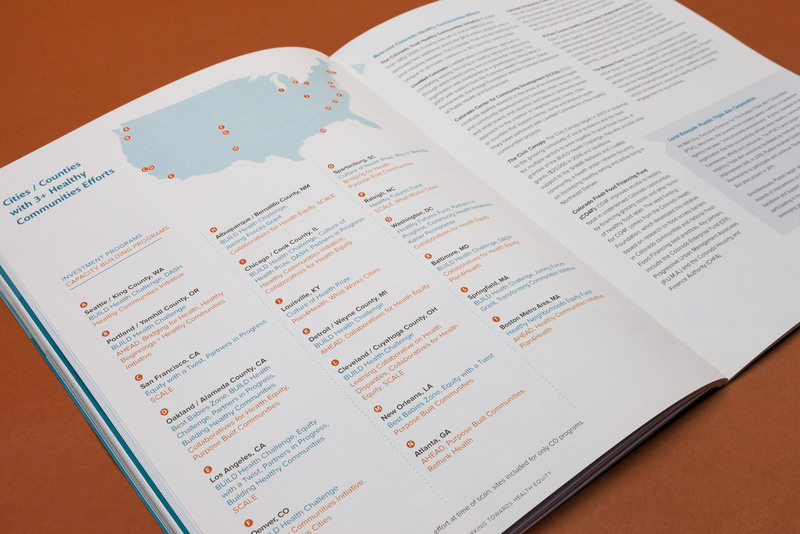 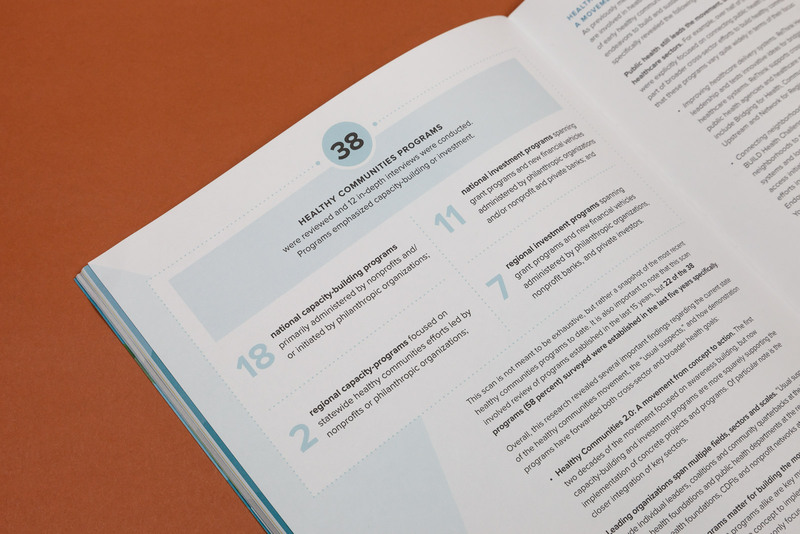 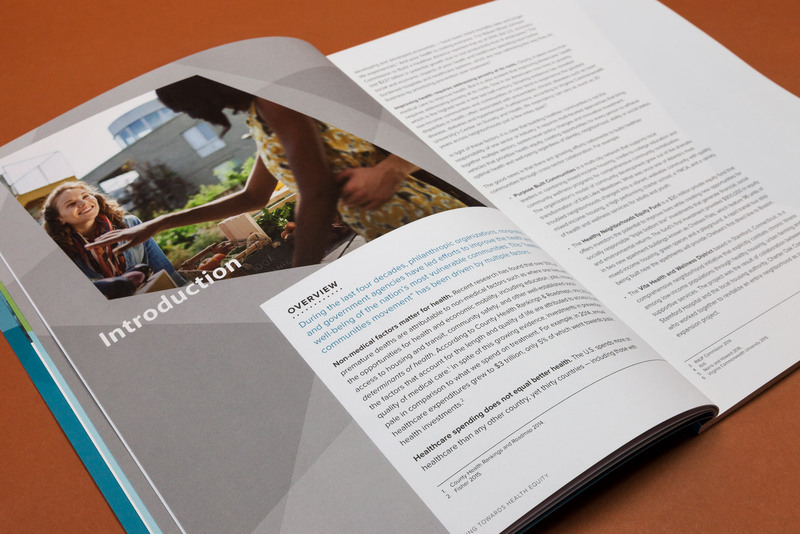 The creation of infographics and overlapping shapes pulled from the brand helps give the report energy. 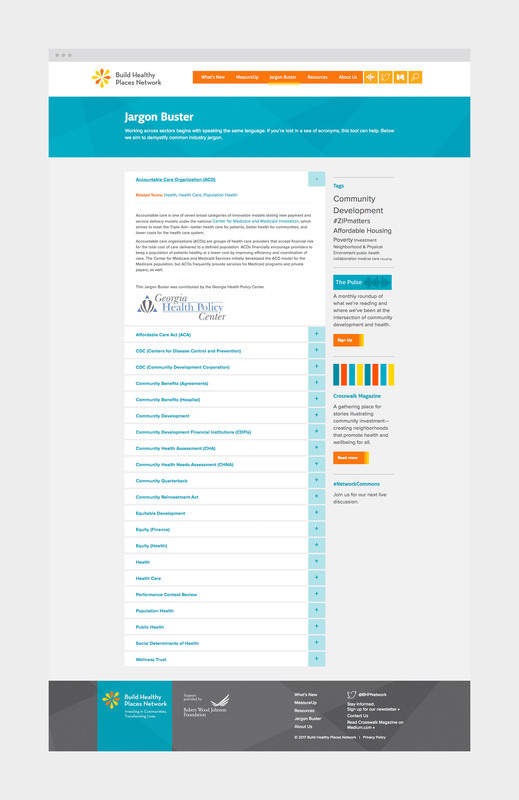 With a very active website, we continue to work with BHPN on updates and modifications to the site. 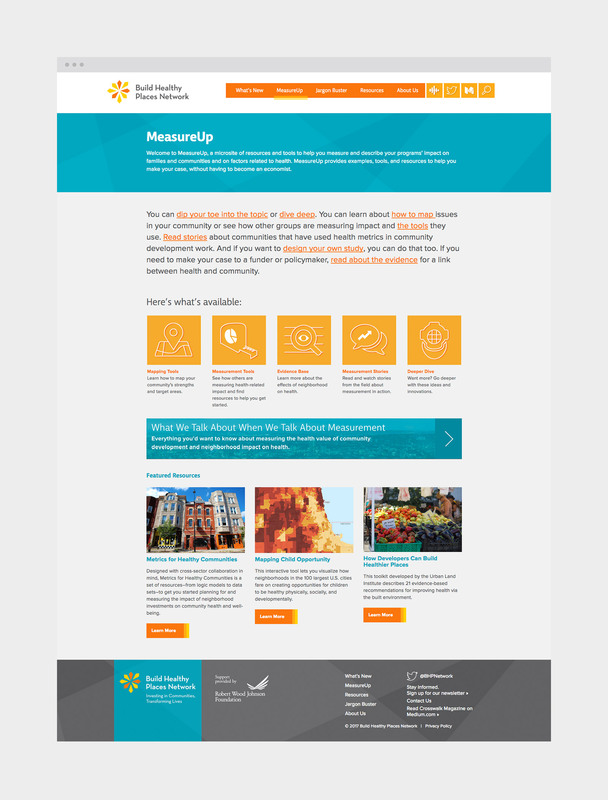 Since inheriting the site, we’ve improved user experience, helped to condense and expand on sections, as well as making their newsletter, partners and social media feeds more prominently located.